Are you tired of living a life full of stress and the endless grind of your daily work routine? We will cover 3 common forms of meditation and how you can implement them into your life. Simply put, meditation can help you shut out all your worries for once in your life–when else do you get the opportunity to get such complete relief? Meditation, along with its many health benefits, can help you deal with your fast-paced and stressful life through techniques such as inward reflection, silencing thoughts, and mindfulness. So if you genuinely desire to alleviate yourself of emotional suffering and mental stress it may be wise use meditation in your life. As discussed in Part 1 of this series, meditation can produce many health benefits for the body and mind. Allopathic medicine (or traditional western medicine) now labels meditation as a healthy habit that can help alleviate conditions such as anxiety, depression, chronic stress, insomnia, high blood pressure, and more. If you have not read the previous article that presents the data supporting the positive effects of meditation, you can read it here: Top 10 Amazing Health Benefits of Meditation. 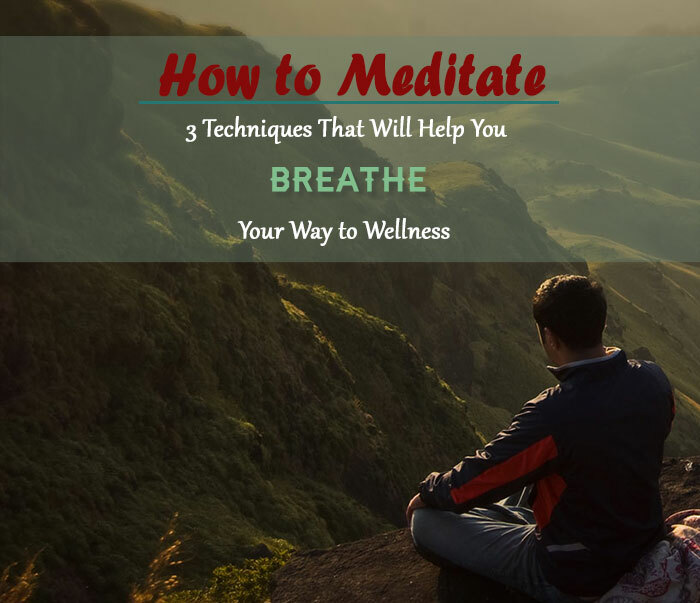 Now that I may have you convinced that meditation is a powerful tool to improve your health in the previous article, it is time to discuss the various types of meditation and how to perform them. The third part of this series will cover tips and suggestions, from a health coach’s perspective, on how to implement meditation into your life in a sustainable way. It is important to select the type of meditation that works best for you in order to achieve the best results. The manifestation of mindfulness is said to be the key to dispelling suffering and cultivating natural wisdom. So how do we achieve mindfulness? As the name naturally suggests, mindfulness meditation is specifically performed to achieve a “mindful state.” In both Buddhist tradition and contemplative psychotherapy, mindfulness begins with sitting meditation . The ultimate goal with this meditation is to become unconditionally conscious of the present moment. In other words, be 100% in the present moment as it unfolds no matter how miserable or happy it may be. Now you may be thinking to yourself, how can just the awareness of the present moment help me overcome the suffering I am experiencing in my current moment in life? How can I achieve this tranquil sanity that I have heard so much about with meditation by simply being more aware of my present moment and its blight? I will admit, at a first glance, mindfulness meditation does sound counterintuitive. The key realization is that mindfulness meditation gives us the opportunity to become conscious of the present moment which unveils our inherent wisdom: we can learn that the perpetuation of suffering is, in most cases, unnecessary because we are constantly trying to escape our suffering, discomforts, pain, or frailties. In essence, through the evasion of suffering, we are denying ourselves the ability to be present in current moment (i.e. reality). When someone tries to escape suffering rather than accepting it, they are in actuality causing themselves unnecessary suffering . Still not convinced? To further explain, mindfulness meditation allows us to be with our experiences, whether they are interpreted as positive or negative. Instead of running from experiences that we find difficult, which is much like running from your own shadow, we evaluate them for what they truly are. By doing so, it is possible to either accept the current moment for what it is or understand what needs to be done to overcome your current moment’s difficulties. When we are not present, it is easy to become preoccupied with wishing for things to be different or daydreaming about the forever uncertain future. This is not an effective strategy for avoiding suffering. People sometimes even lack mindfulness during happy moments by worrying the moment will not last or wishing it would not end—these behaviors prevent any enjoyment of the present moment. Ultimately, mindfulness meditation teaches us two key principles: be conscious or mindful of the present moment and unconditionally accept your present moment for what it is rather than avoiding it. If you have not read the part one for the article, mindfulness meditation has been used by numerous studies that assess the effects of meditation on the body. Such studies assessed in the previous article analyzed the effects of mindfulness meditation specifically for its ability to reduce anxiety, depression, and pain management [2, 3]. As David Nichtern states, it is best to start with 10-15 minutes a day then work your way up from that point. This type of meditation is a little more difficult to explain (it is best experienced rather than read about in order to fully grasp it). Transcendental meditation (TM) is aimed to promote complete consciousness that accesses your inner self, beyond distracting thoughts. Through the dismissal of all thoughts during meditation, you can achieve an awareness that is beyond thought (in reality the source of thought). Much like mindfulness meditation, TM is practiced through sitting meditation. TM and mindfulness meditation are quite similar aside from their means of thought dismissal and their specific objective. Instead of using the breath as a tool of focus, a mantra is used in TM. A mantra is a word or meaningless sound that is repeated throughout TM. Ideally, through the use of a mantra, people can achieve complete awareness of the present moment, profound relaxation, and inner peace. There is little information regarding the actual TM technique because it is supposed to be taught by a certified TM instructor in a face-to-face setting. For those who do not want to spend the money, however, there are seven general steps to TM if you wish to teach yourself . 1. Select a location that is quiet so that you will not be disturbed. 2. Sit cross-legged in a comfortable position. It is important that your position causes no discomfort to avoid potential distractions during the meditation. 4. Close your eyes and let your body completely relax. Inhale and exhale deeply for the next couple of minutes. 5. Bring your breath to a normal rate and progressively work towards relaxing your body and mind. 6. Slowly begin to repeat your mantra with deep breaths. In other words, inhale deeply and then exhale while saying your mantra. 7. Continue this process and focus only on the mantra. 8. The mantra allows you to easily focus inward rather than disciplining your mind to be absent of thought. 9. Do this for approximately 15-30 minutes and up to 2 times daily—as you get better you will start to notice that your mind will be clear of all external affairs including concerns, tension, or worries. 10. When you are done, slowly open your eyes and sit there while you readjust to your surroundings. Be sure to get up carefully and slowly when you decide to do so. Reflective meditation is used for in-depth structured thinking. This form of meditation may be difficult because it requires a considerable amount of discipline. A common challenge of meditation is to control or prevent thoughts from percolating. Similarly, in reflective meditation, individuals must control their thoughts with a high level of control. What separates reflective meditation from other forms is that there is no thought suppression. When an individual begins reflective meditation, they must select a question, theme, or topic. Once selected, you can begin a standard seated meditation and let your thoughts flow within the boundaries of the selected topic or question. It may be difficult at first to stay on topic, but as you become more experienced there will be a higher degree of control with the thoughts. 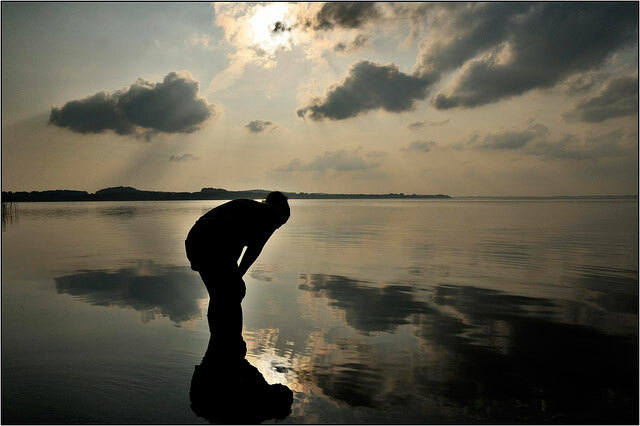 Reflective meditation is helpful for sorting out complicated situations or obstacles in life. For example, this form of meditation is phenomenal for people who are trying to develop healthier habits or rid themselves of poor ones. Healthy living begins in the mind—if we can nurture the mind, then our thoughts can successfully manifest into healthy behavioral modifications . There are times I recommend this form of meditation during my health and wellness coaching for people who struggle to adopt behavioral changes. Like most other forms of meditation, reflective meditation can also have a calming effect. There is no golden standard approach to reflective meditation like TM or mindfulness meditation. The only primary guideline for reflective meditation is that you keep your thoughts bound to the predetermined theme or question. To begin this form of meditation, simply use steps 1-5 from the TM technique as stated above. Once you have reached step 5, you can begin let your thoughts flow that are related to the topic or question. When your thoughts wander off topic, simply redirect yourself. It is important to not become frustrated if your thoughts wander off topic because it will be detrimental to the effectiveness of your meditation. Like most things in life, your capabilities will improve the more you practice. Note: reflective meditation can also be adapted to prayer, Tai Chi, yoga, or other similar practices. Start with meditating for a small amount of time (around 5 minutes). Every other day increase your time by 1-2 minutes depending on how comfortable you are with the practice. You will eventually get to the point where you will start ‘craving’ meditation because when you do skip, you will realize all the benefits you are missing out on and how enjoyable it actually is. The enjoyment of meditation increases as you become more familiar with it. Comment below with your experiences with meditation or your challenges to adopt it as a consistent practice. Telling about your stories may help others! 2. Goyal, Madhav; Singh, Sonal; Sibinga, Erica M. S.; Gould, Neda F.; Rowland-Seymour, Anastasia; Sharma, Ritu; Berger, Zackary; Sleicher, Dana; Maron, David D.; Shihab, Hasan M.; Ranasinghe, Padmini D.; Linn, Shauna; Saha, Shonali; Bass, Eric B.; Haythornthwaite, Jennifer A. (March 2014). “Meditation programs for psychological stress and well-being: a systematic review and meta-analysis”. JAMA Internal Medicine (3): 357–68. doi:10.1001/jamainternmed.2013.13018.PMID 24395196.